From the director of OUR CHILDREN comes the story of Boris (Cédric Kahn) and Marie (Bérénice Bejo), a couple who have decided to separate after 15 years. They have two girls they adore. However, cash-strapped Boris is still living in the family home and, with neither willing to give up the house, their living situation has become a nightmare. 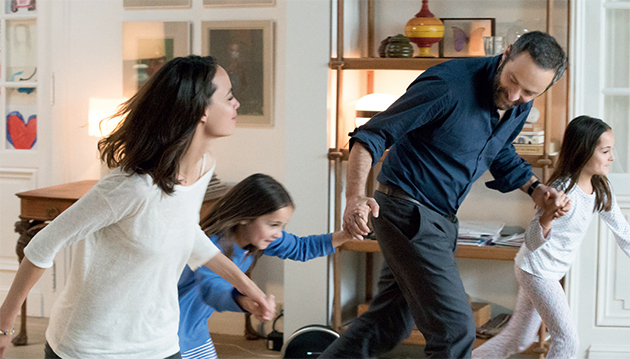 With great magnitude, Joachim Lafosse captures the painfully intimate, harrowingly fascinating drama about the emotional and financial complexities of a separation, and the complexity of the end of a long love story. A close look at infidelity and the particular, divergent ways in which it's experienced and understood by men and women. Directed by Philippe Garrel.